Parlanti riding boots Miami Lux. Parlanti Passion Jumping and Dressage Boots are the most desirable Boots to ride with. These Parlanti Miami riding boots in black have a laced front, and come in genuine calfskin. 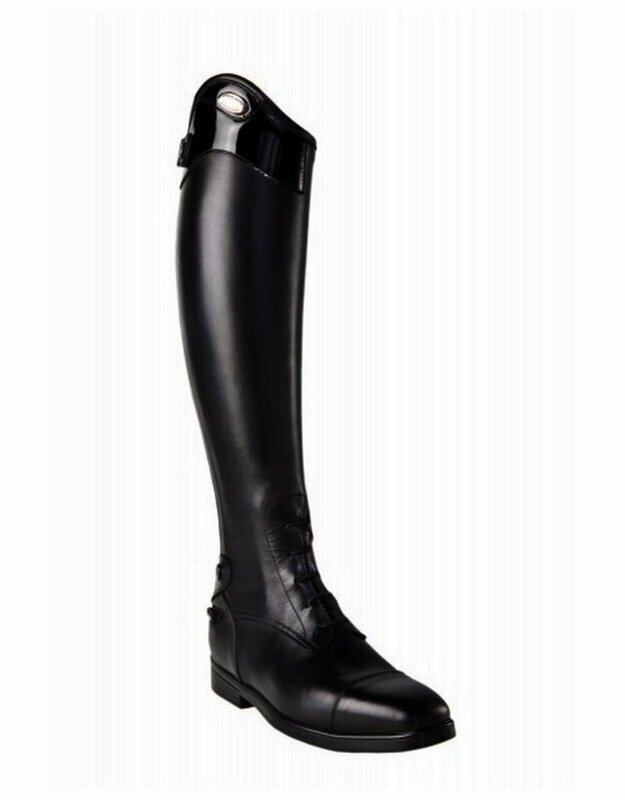 The new Miami LUX line is virtually identical to the Miami riding boots, but with an added Patent leather top. The riding boots offer: Superior quality calfskin leather. Front elastic laces. Inside lining. Back elastic insert. Back zipper. Spur holders and back zipper protection. Parlanti Passion metal logo. Glued/stitched rubber sole.